Staff at Osaka City University (OCU) who participated in the SD overseas workshop, organized by the Consortium of Universities in Osaka, visited Malaysia from Sunday 5 to Saturday 11 August to participate in the international conference themed student support. 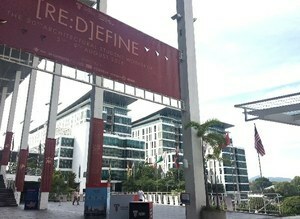 They also visited three universities near Kuala Lumpur. It was the first time for the Consortium of Universities in Osaka to hold an SD workshop overseas and a group of 10 faculty/staff including three from OCU as well as a group of students including three from OCU who were to participate in the Asia Pacific Student Services Association (APSSA) Student Conference held at the same time, headed for Kuala Lumpur, capital of Malaysia, from the Kansai International Airport on 5 August. 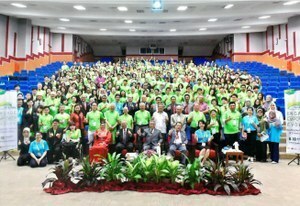 The APPSA International Conference, held every other year, took place at Universiti Teknologi Malaysia this year. Under the them of “Engage-Empower-Evolve: Pushing the Frontiers of Student Affairs”, this year's conference was held with panel discussion by representatives of every sector of society on various topics on student support such as diversity promotion, approach to leadership education, mental support, and system to introduce internship effectively as well as presentations by the universities which have been engaged in progressive approaches to these matters. The party also visited Taylor’s University and Heriot-Watt University in addition to the conference venue Universiti Teknologi Malaysia before and after the conference. 10 years have passed since all the courses at universities in Malaysia offered in English and exchanges and studying abroad programs with English-speaking countries such as UK and Australia have become active. 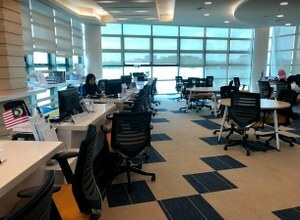 Thus Malaysia has recently been a popular place to study English for Japanese university students. One of the staff who participated in this workshop says "Through this workshop, gaining a chance to join in an international conference was such a productive experience as private participation is difficult. I would like to take advantage of what I learned and information I got from this visit to my work in the future."